Garden accessories: At your local department store you can pick up some garden accessories like a picket fence or some nice lights for when it’s dark. These two items are often sold at a bargain and can add a subtle touch to your garden. Add color: When choosing your plants, always add some color with flowers. Also, there are many decorative pots that you may add some color to by painting them. The possibilities are endless. Keep your lawn green: Nothing compares to a green and luscious lawn! Take care of it by making sure your sprinklers are working if you have them or purchase a manual one to make sure your lawn gets hydrated. Additionally, add fertilizer when needed to give it the nutrients it needs to stay a nice shade of green! Add a water fountain or a bird bath: Nature will love you for this, and it's very appealing to anyone looking at your garden. Fountains or bird baths make an excellent focal point for your garden. Taking care of your garden is worth it and can personalize the outside of your home. Have some fun with it! 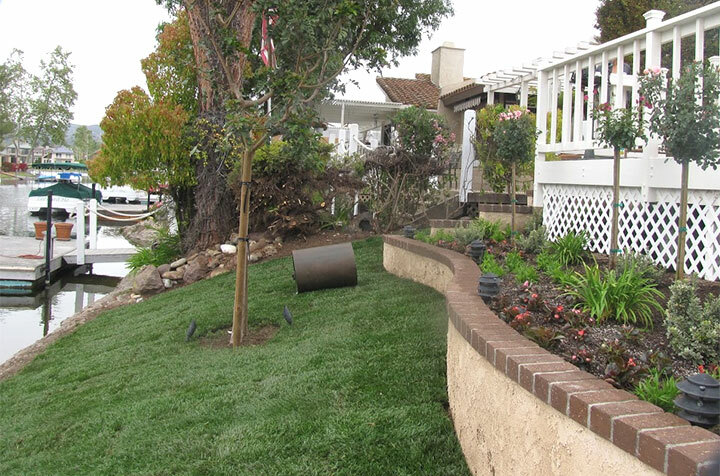 If you need any help with maintenance or landscaping and you live in the Los Angeles or surrounding areas, please don’t hesitate to call us!